Portway Hill, Blue Rock Quarries. The day was warm, cloudy and windy with periodic rain showers. A handful of us met at the usual location off St. Brades Close at 10.30. Once again we were joined by members of the Friends of Rowley Hills group. Mike, from the Friends Group, told me about how the hill had been sold off into plots long after the quarries had finished being backfilled. The Birmingham and Black Country Wildlife Trust’s site is just one of these plots. The owners of other plots apparently acquired them with a view to developing them with housing. However, planning permission is fortunately preventing this. Part of the Friends Group’s work has been to clear hawthorn and bramble from the Wildlife Trust site. This has allowed many wildflower species to flourish, including oxeye daisy, bush and common vetch, meadow buttercups, mouse-ear hawkweed, red clover and ribwort plantain. The Friends Group have also planted yellow rattle, which helps to prevent the various wild grasses from taking over. 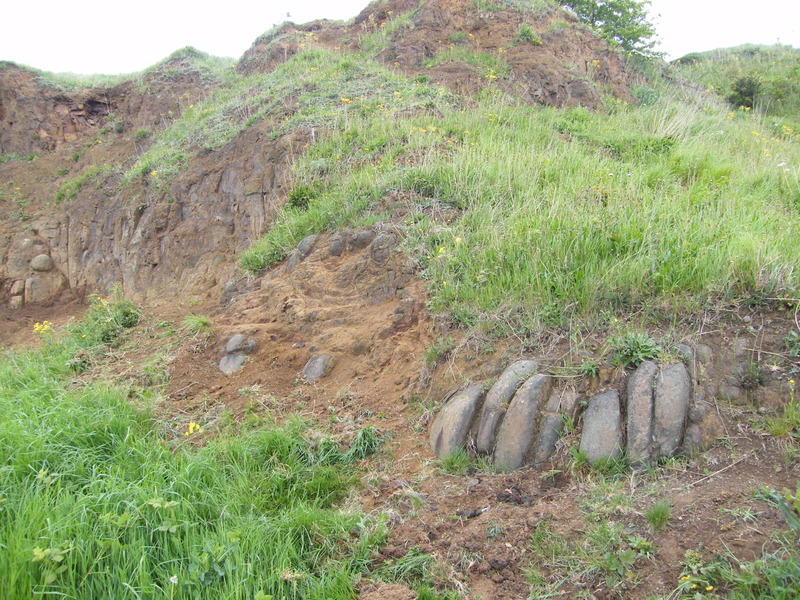 Given the nature of the underlying fill and its engineering, this means that no deep rooted or big plants are able to get a foothold at the site. In the fifty years since filling ceased the largest plants to have colonised the site are hawthorn and gorse. The hawthorn was full of blossom on the day of our visit, which along with the other flora makes the site attractive to around twenty eight species of butterfly and moth, including the green hairstreak, and numerous bird species. The Friends Group have also been working at improving the footpaths through the site using fallen rock scree from the dolerite exposures. The aim of our visit on this occasion was to excavate downwards and clear the rock scree and vegetation from the base of the exposures. The scree was partly used for creating a platform at the exposure base, but also taken away to help improve more footpaths crossing the site. Our efforts have helped to reveal more good examples of spheroidal weathering within the dolerite and also other features that could be dolerite columns. More work needs to be done to expose these. 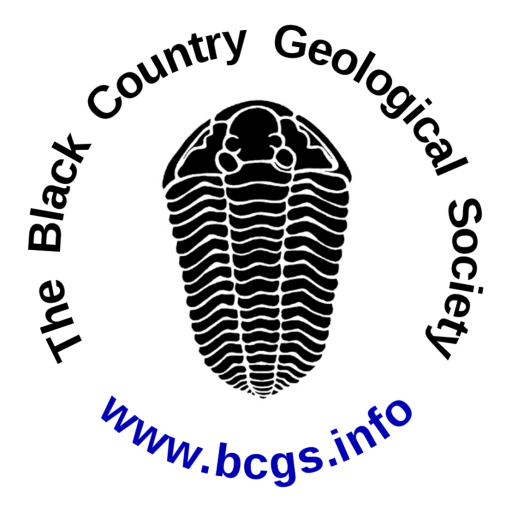 According to Graham the site has been put forward as one for the Black Country Geopark bid. 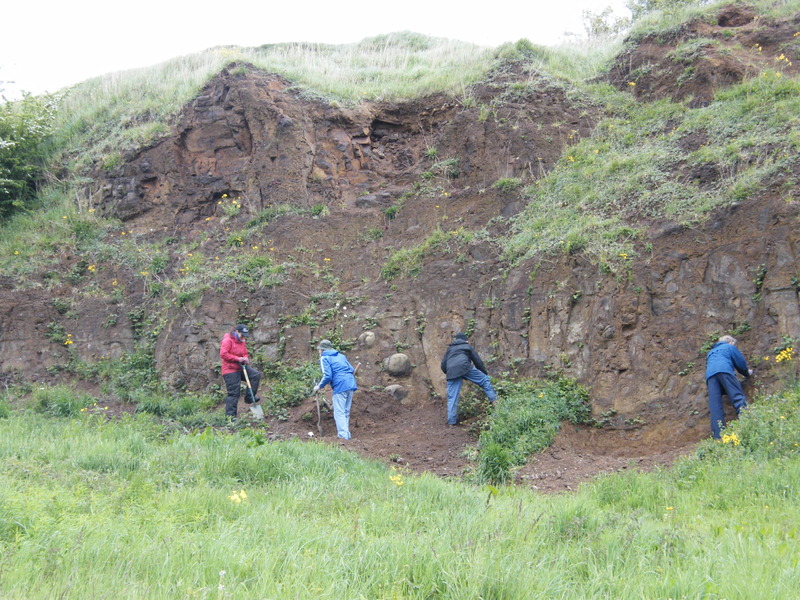 * We made good progress clearing enough exposure ready for an important Geopark evaluation meeting in June. However, much more clearance is required, including keeping the vegetation in check and improving the footpaths for better access. The Friends of Rowley Hills Group, along with the Wildlife Trust, have a calendar of events and a very good website which can be visited at: friendsofrowleyhills.org for more information. Once again I would like to thank Paul Stephenson and the volunteers, and hope to see more attendees on our next visit.